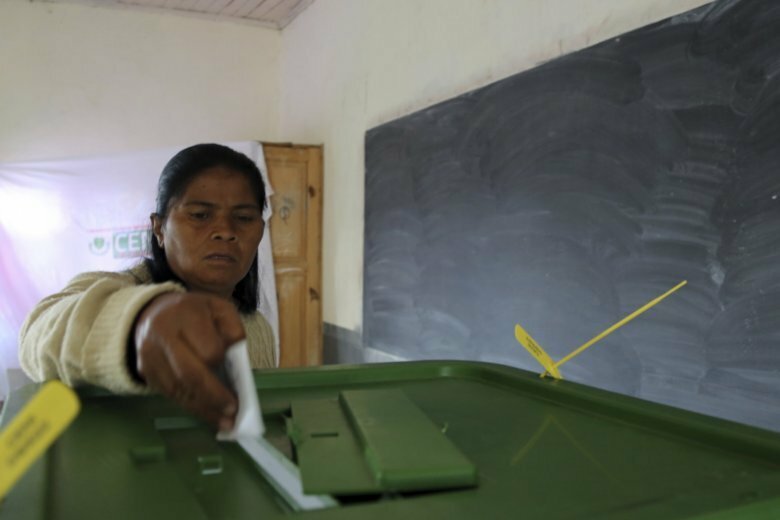 ANTANANARIVO, Madagascar (AP) — The counting of ballots has started in Madagascar’s runoff presidential election, after the polls closed to end the generally peaceful voting Wednesday. Andry Rajoelina, 44, president from 2009 to 2014, received 39 percent of the vote in the first round in November, while Marc Ravalomanana, 69, president from 2002 to 2009, got 35 percent. They two are now vying against each other for the first time since political turmoil in 2009 forced Ravalomanana from power. Both have said they will accept the runoff’s results. Rajoelina, after casting his ballot in Antananarivo, the capital, said he is confident of the process. “I appeal to all the Malagasy people to vote massively to express their choice so that they can choose who will lead this country,” he said. “I am a democrat and I will accept the verdict of the ballot box,” he said. When Ravalomanana voted in central Antananarivo he urged the people of Madagascar to vote and to respect the outcome. Ten million voters are registered in Madagascar, a former French colony which is ranked by the World Bank as one of the world’s poorest nations, although rich in ecological diversity. More than two-thirds of the island’s population of 25 million live in extreme poverty, while corruption is reportedly widespread. Campaigning in the election was largely peaceful. Antananarivo was vibrant in the final days before the vote with the orange T-shirts of Rajoelina and the white and green ones of Ravalomanana worn by hundreds of supporters. Provisional results are expected within a week.